It's time to remember good and bad things happened. Enjoy and reminisce good memories and learn from mistakes. Right? Since mine is a book blog, I want to list my best reads of 2014. Even though I didn't get time to review many books in my blog, I have got chance to read a variety of books this year. Read the famous Shiva Trilogy books by Amish Tripathy this year, which was pending from long time in my wish list. FYI, Shiva trilogy has 3 books in the series - The immortals of Meluha, The secret of Nagas and The oath of Vayuputras. This book is first in the series of Taj Trilogy. If you want to know more about each and every detail of Mughal empire, traditions in their time and importance of women, this is for you. I enjoyed reading this as I love history. Here is my review. 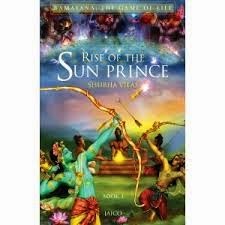 This is the second book in Shiva trilogy series. All three books are fine, but this book in trilogy is better. 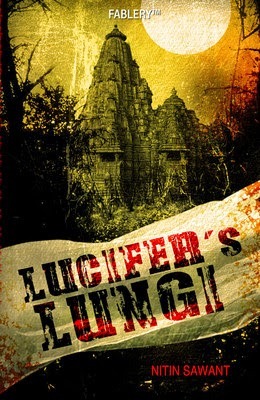 I liked the way Amish Tripathy created the characters of this mythological fantasy novel. It's interesting to know and relate things related to our ancient India like Saraswati river, preparation of amrutham which gives immortality etc., Even though there are many myths in this fantasy novel, I liked the research behind the story and gained some knowledge on ancient India. Whle the books above are on serious note, this book is a light hearted read. A very short book which I enjoyed it every bit. This book talks about the protagonist of novel being modern and not believing in any myths and legends, travelling to a small village. His mind set completely changes after his funny experience in the village. Here is my review. This first book of Ramayana in the series of books by Shubha Vilas covers Ramayana from the birth of Lord Rama till his marriage. Book has extra information on importance of each incidence in Ramayana and characters are explained in very detail. Overall, it's enjoyable and knowledgeable read. Here is my review. This is one of my favourite genre. 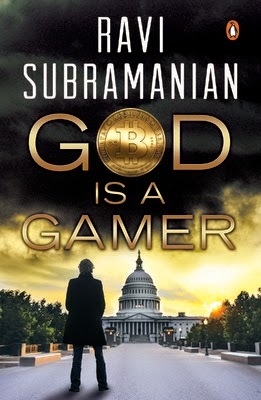 It's a thriller and I learnt many new things about gaming industry and term 'bit coin'. Thoroughly enjoyed reading this and cannot put the book aside until I finished it. Here is my review. I wish, I read more interesting and variety of books in the coming year and review them in my blog.